As we all know, Destiny 2 has been confirmed for the PC platform and will be made available via the Blizzard launcher, previously known as Battle.net. 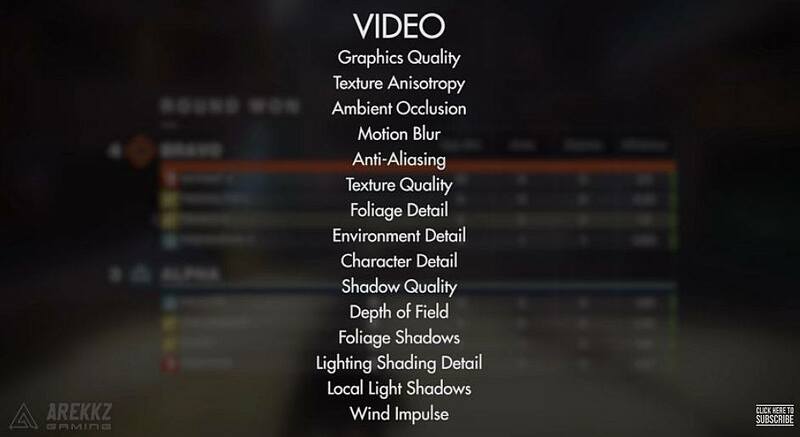 Obviously as the game is not out yet, the game is still being worked on, but nevertheless, we have been treated to a look at the graphics options menu for the current build fo the game. We can reasonably expect additions and alterations to be made to the options before release. As you can see, these options were revealed by the Youtuber Arekkz gaming. We pretty much have the options you would expect with the usual array of anti aliasing, texture quality and environment options. But we also have something called “wind impulse”. The main option that is missing is, of course, an FOV slider. Given that the game does support up to 4K and 144hz, it’s reasonable to assume that an FOV slider will be made available in the main game. Bungie doesn’t seem to be slouching on the PC version from what we know, so a lack of FOV tweaking would be a strange omission. Regardless, it does seem that the PC version of Destiny 2 will be rather robust. It better had be, anyway, since it is releasing after the PS4 and Xbox One versions of the game. Tagged with destiny 2, destiny 2 pc, destiny 2 pc graphics, fov, fov slider, graphics menu, graphics options, PC gaming, pc version.